That was the pad Thai calling to us throughout that evening. My experience with Thai food had been very limited. When we were growing up, we used to visit a Thai restaurant in Makati, the details of which I really cannot remember now. I don't know how authentic the food there was, but after several visits, we've pretty much stopped visiting it. 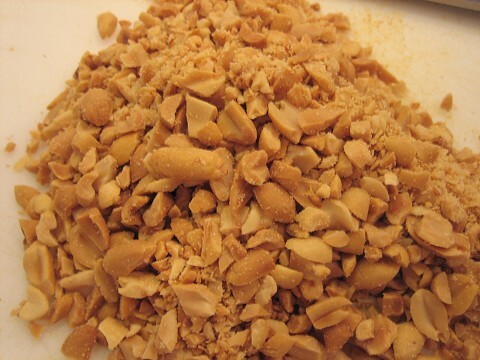 I had written Thai food off as something that's always sweet and always with peanuts. Back in Vancouver, I can pretty much count the number of times we went to a Thai restaurant. I remember going with Grace once to Thai House in Richmond and the group ordered pad Thai. I had a bite of it and thought it was awful. It had a stale taste, like stale rice, but even worse. I thought I had the faintest taste of a naphthalene ball, those little white balls we used to get rid of vermin. Ugh. Add to that flavour the slightly rancid taste of the peanuts, with the sweetness of something red (like ketchup) -- it was enough to make me swear off Thai food forever. It wasn't until I exiled in LA that I re-discovered the glory that is 'pad thai.' 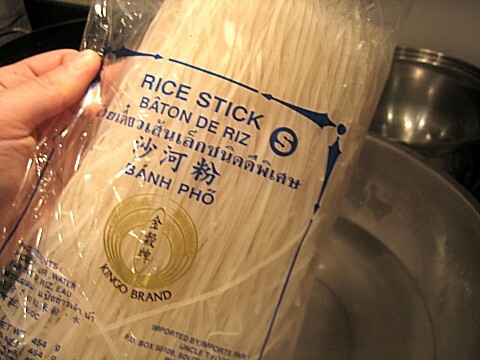 The name does not mean anything: translated it says, "Thai noodles." I've read somewhere that if you go to Thailand and order a 'pad Thai,' they wouldn't even know what you are talking about because there's no such thing. Back there, they're all PAD THAIs. They're all Thai noodles! In North America though, it has taken on iconic status. 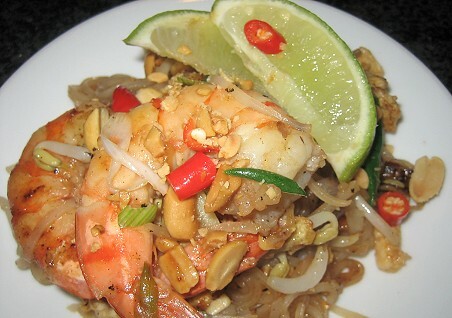 Every Thai restaurant has their own version of pad Thai. I've visited several restaurants in LA and partook of their versions of the dish. My favourite pad Thais of them all are the ones that don't look bright orange (because I fear ketchup) and are sticky-sourly-sweet, redolent of fish sauce. Pad Thai, when done right, is a whole lot of comfort, something soul-satisfying, even if one's soul isn't Thai. Just Thai enough, I suppose. 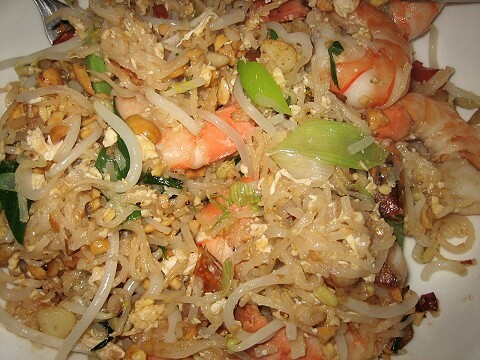 For a long time, 'pad Thai' has always been something elusive, something to be had only in Thai restaurants. Of course, we don't really frequent Thai restaurants in Vancouver. That makes the dish even more elusive to us. It's something that needs to be remedied, we thought. 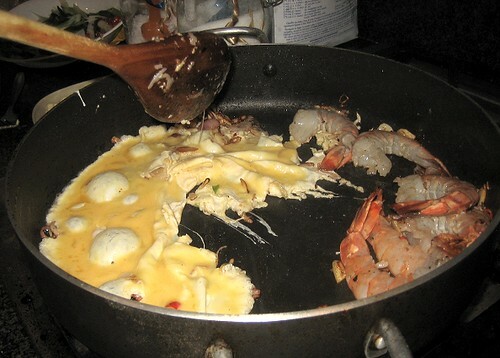 Armed with the desire to cook pad Thai, we brushed up on pad thai techniques (see below for clarification). Particularly helpful are these pages below. 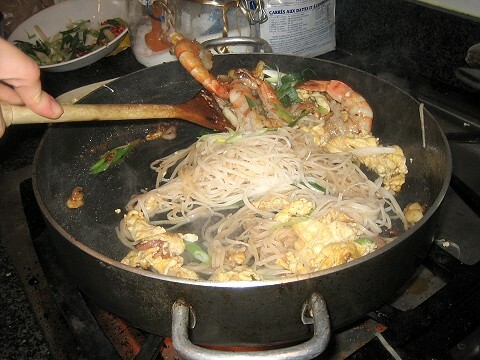 The pictures they have seem closer to the ideal authentic pad thai, so I gave TS the sites. (Because, you know, she's the one who needs to brush up on the pad thai technique.) 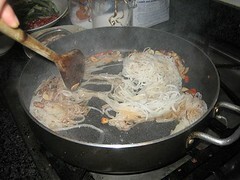 I saw Alton Brown do a pad thai once on his show Good Eats but his look too pale to be authentic pad thai. Too pale and does not have that sticky brownish sheen of the other pad thais that I have loved. We already had the idea of doing a tamarind series, as it's an ingredient that we haven't worked with before. Everybody and their grandmother seemed to be making sinigang using the packet mixes, so that was the first dish we thought of. Of course, pad Thai was the second. 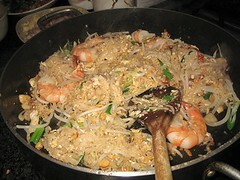 I looked at the pad Thai post at the chez pim blog. 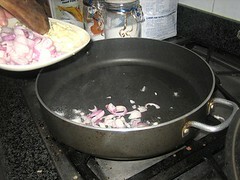 It made perfect sense to me since I'm used to cooking with the principles of a dish in mind, and not exact recipes. Reading the post, I was armed. Making pad thai is all about prep. 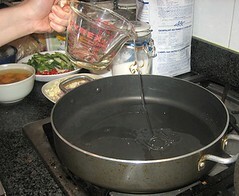 First, making the sauce. 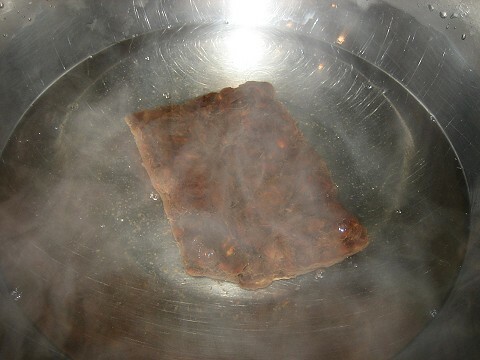 I soaked a block of tamarind pulp in boiling water. 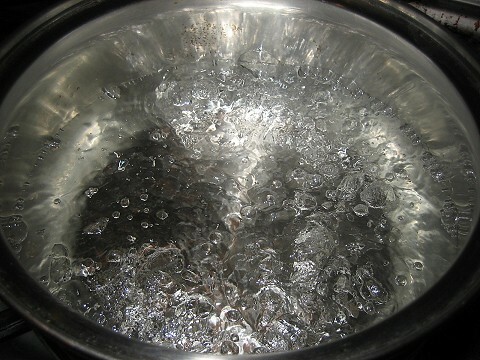 I had to wait until the water was cool enough to touch. 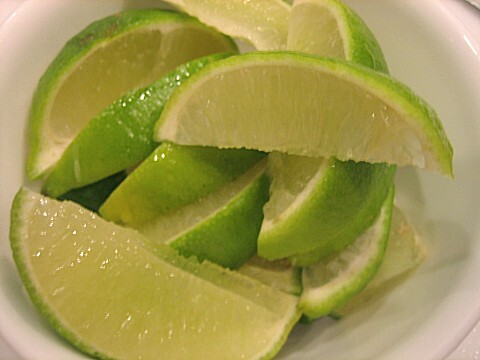 In the meantime, I prepped the other ingredients. 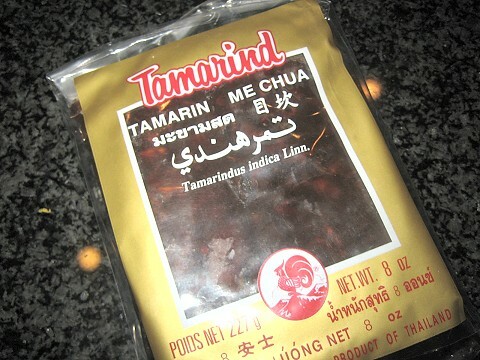 Anyway, now for some tamarind fun. 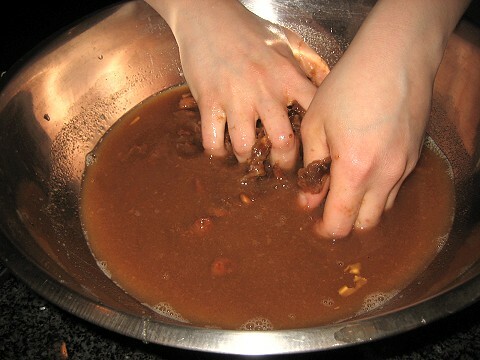 Then, into a strainer to push as much tamarind goodness through as possible. However, I found that it was too salty. 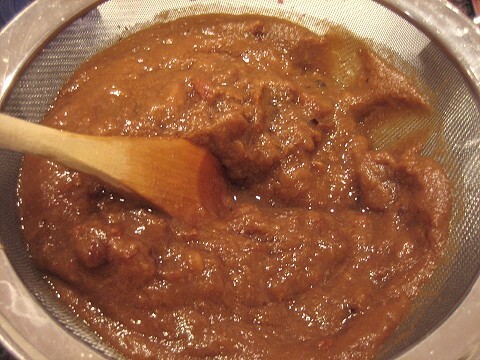 I added more tamarind and more palm sugar. 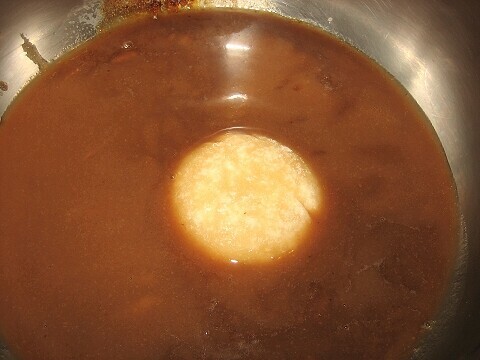 I let the mixture boil to completely dissolve the sugar. Now, the noodles. Again with the soaking! One was supposed to soak the noodles only until they were pliable, not "soft" or ready to eat. 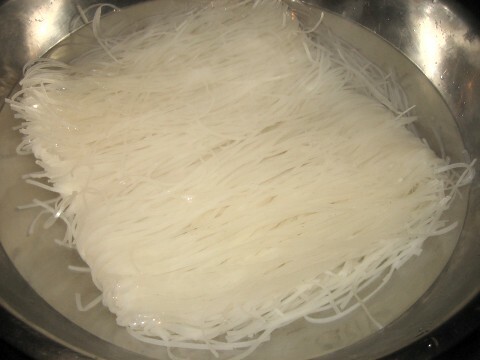 However, I was busy tending to other things that I let the rice noodles soak too long. 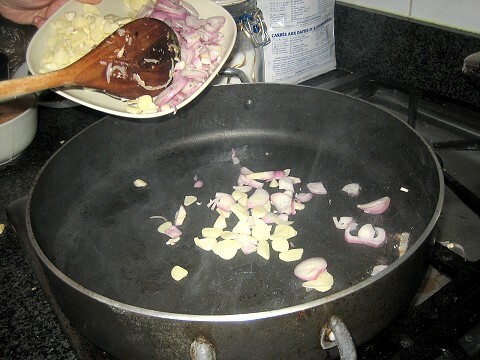 But, that was easily remedied by adding the noodles later in the sequence of ingredients when frying. No biggie. But, I'm getting ahead of myself. 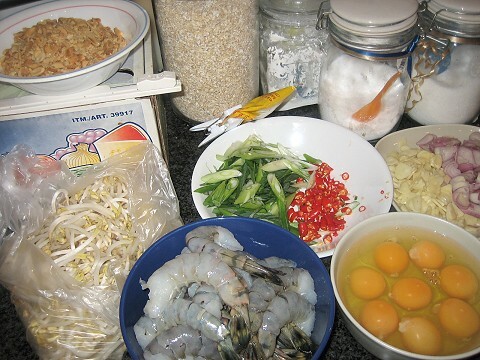 My pad thai set-up: my sauce and the rice sticks to the right, and the other ingredients to the left. Oh yes, we had bean sprouts as well. 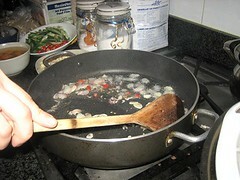 I followed chez pim's instructions of only frying up 2 servings at a time. This is now supposed to go fast and furious. 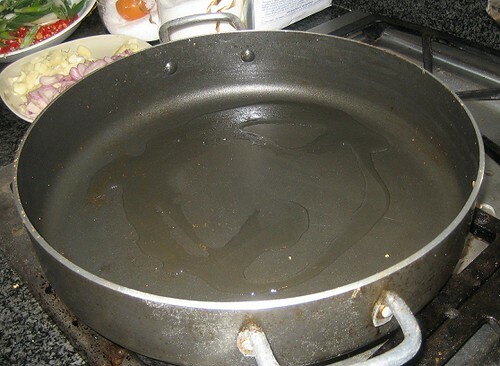 Hot oil. 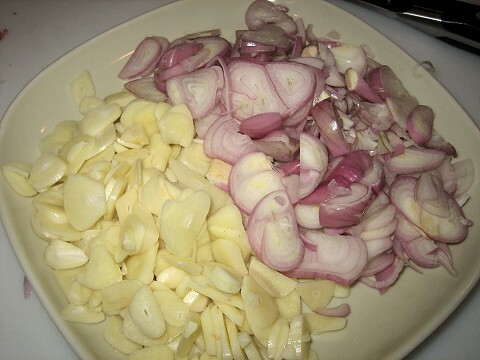 Then, the shallots, garlic & chiles. 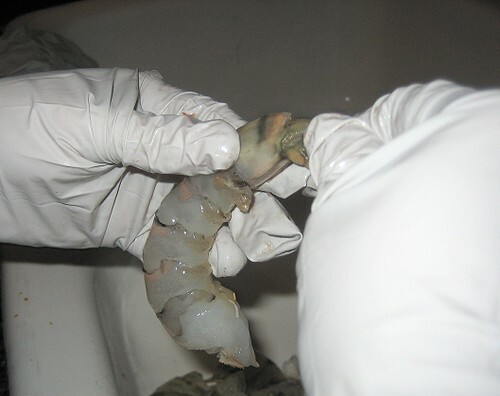 ...then a couple of eggs, followed by the huge shrimp. The green onions and bean sprouts were next. Hm.... it don't look so good. 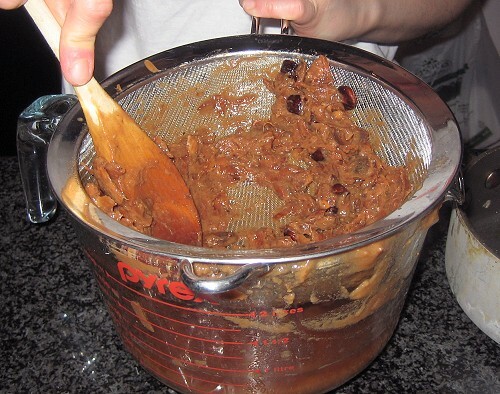 Well, good thing we did this batch-cookery style. For our second and subsequent batches, I was aiming for "perfection"! 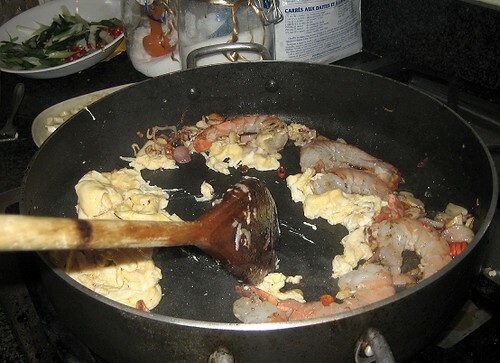 The shrimp (fine, prawns) were way too large to go in that late in the game. The noodles don't have to go in that early as they were already soft. Wait until the eggs set! 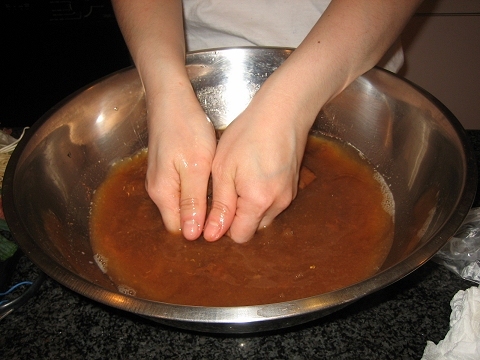 One small ladle of sauce is not enough. OK, here goes. 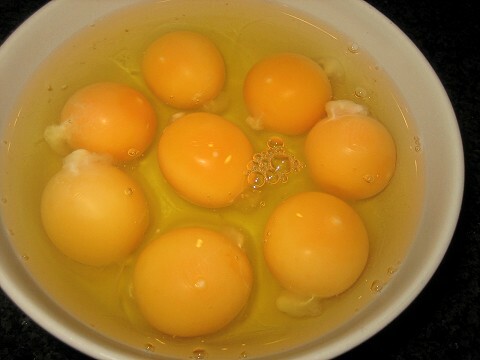 Before I started, I decided to beat the eggs. 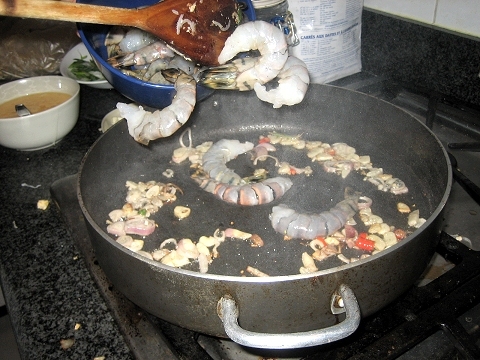 The jumbo shrimp went in almost immediately after the aromatics. 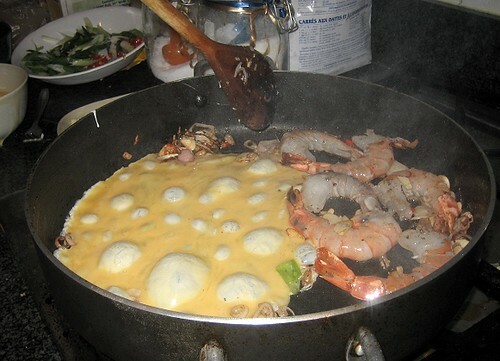 The beaten eggs had time to set and bubble nicely. The noodles went in, followed by a LARGE ladle of sauce. 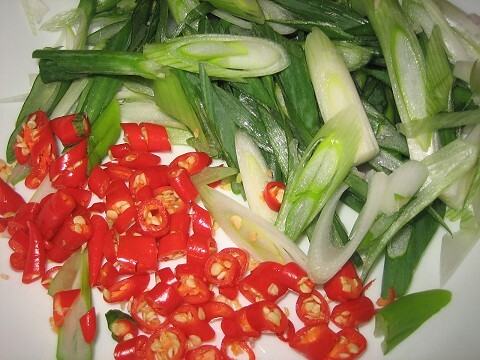 Then, the green onions and bean sprouts. 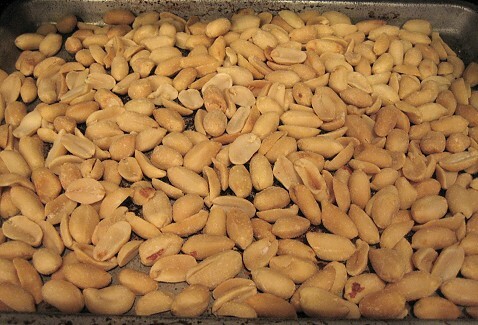 Plated with ground peanuts and lime wedges. I don't know what to say. It was so good. I've outdone myself! There was quite a bit of pad Thai so I was hoping to eat some more the next day. But the next day came, and there was no pad Thai in sight. 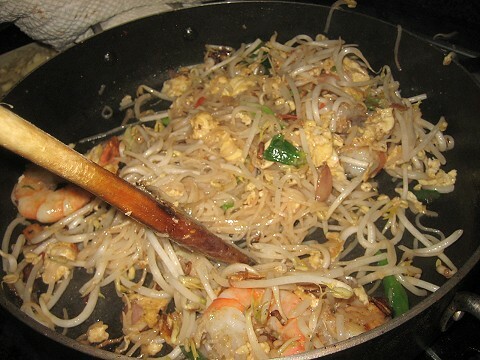 Our home version is definitely close to all the pad thai noodles that I have loved! 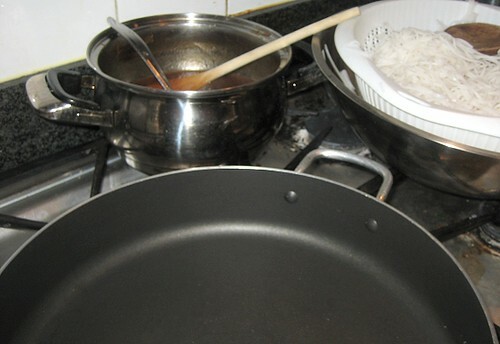 The one thing it did not have was the "spirit of the wok" as we didn't use a wok and there was really no way that our stove could get the requisite firepower for our wok to exude said spirit. Yes, I too was hoping for some pad Thai the next day, but when I came home from work, there was none! It was calling to me all night, but I resisted and resisted and for my patience I get nothing! We definitely have to do this pad Thai again. 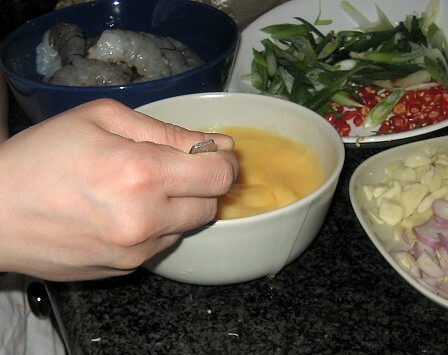 We will be using smaller shrimp for the next version (I thought the shrimp we had were too large for the pad Thai purposes) and I'm trying to get TS to have the sauce a little stickier and more savoury. 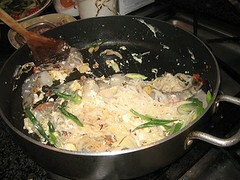 Perhaps we might douse a little bit of fish sauce once the noodles are stir-frying around in the pan. 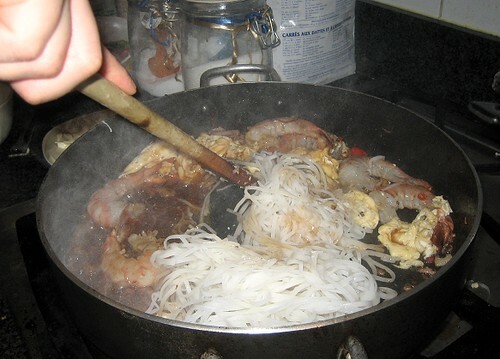 Or perhaps the other ingredients (dried shrimp, preserved turnips, etc) would be enough to add a little funkiness to our pad Thai, as all the other pad Thais I have loved did have a touch of a little funkiness. And what do you know! I peeked in the fridge and found suspiciously pad Thai-y ingredients! Bean sprouts, garlic chives, firm tofu... Now all we need are preserved turnips and dried shrimp and we're good to go. i will say that the radish and the shrimp make a huge diff in the authentic flavor. most international market stores will carry both. 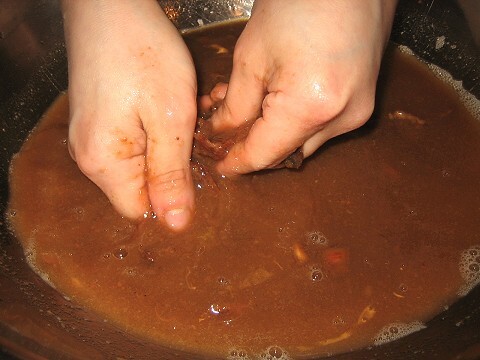 also, rather than soaking and squeezing the tamarind bar/brick thing. the stuff in the jar that is pure tamarind works beautifully and tastes excellent. I know what you mean re the photos. I try to blame the "bad lighting" in the kitchen myself. ;D The pictures are really something we have to work on. We have dried shrimp now! The go-to Asian supermarket we go to didn't have the radish. It seems kind of weird that they wouldn't, so I'm thinking that perhaps they were just out of stock. Will have to try them again soon. 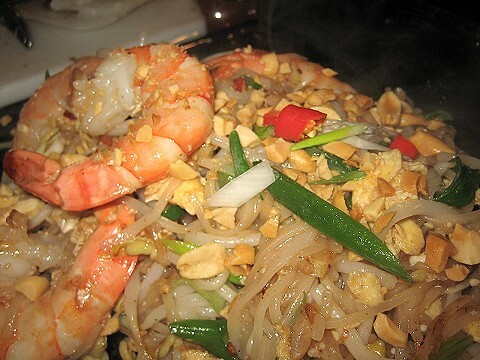 Your Pad Thai looks great! 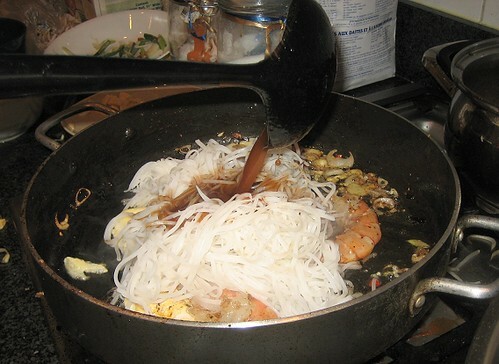 Pad Thai was the reason that I picked up that jar of tamarind concentrate way back when. 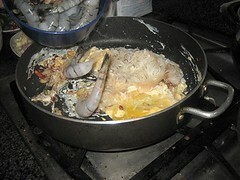 The Pad Thai did not turn out too well though... I had a timing problem with the noodles in that I prepared them too soon and they were already starting to dry and stick together by the time I was ready to use them. It was a bit of a mess but it tasted great. 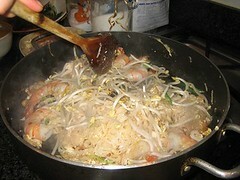 I am going to have to try making Pad Thai again! Thanks for the link.